December 8, 2018 Catholics celebrate the Solemnity of the Immaculate Conception. The immaculate conception refers to the conception of Mary the mother of Jesus, even though Jesus was conceived without sin, his conception is celebrated March 25th during the Feast of the Incarnation or Feast of the Annunciation, depending on whether you’re in the Eastern or Western hemisphere. 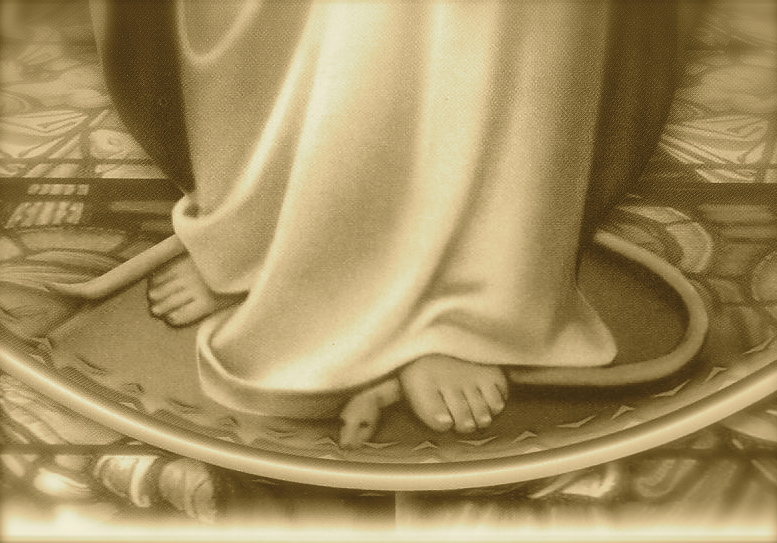 From the early days of the Church, the Christian community held that Mary was conceived without Original Sin. She was selected by God the Father, before the creation of the universe as we know it, to be the mother of the second person of the Holy Trinity, God the Son. A conception that was to happen without human intervention, only by the power of the Holy Spirit. For centuries theologians debated whether Mary was conceived without sin or was born without sin. Conceived without original sin: means that from the very moment that the egg and the sperm cell became a human being, this human being was free of original sin. Born without original sin: means that the fetus in the womb had original sin, but through an act of God, was cleansed of the stain of sin, before birth. There were some biblical indicators that Mary was sinless. Saint Luke and the first-generation Christians understood that one who is “full of grace” is filled with God’s life. God’s life cannot share space with sin. Gabriel confirms this when he tells Mary two things: The Lord is with her and she is blessed among women. Before Mary became pregnant with the child Jesus; God’s divine life filled her soul. This does not make her divine. Notice that we say, “God’s divine life”. Secondly, Gabriel points out to Mary that she is “blessed among women”. He is referring to every woman before Mary, during her life, and those women born in the future. No one has been as blessed as Mary. By enmity it is understood that there was to be no interaction between “the woman” and Satan. She was protected from the devil since time began. When God sentences Adam and Eve, he predicts that there will be a woman whom Satan cannot touch, because there is a “buffer” of grace between the woman and the devil. 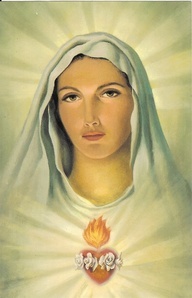 We understand this woman to be Mary. Who else could be the enemy to “Satan’s seed” if it were not Jesus Christ, the seed of Mary? Why would God create a woman who never had contact with sin, not even Original Sin? Because she was the be his son’s mother. Jesus is sinless. Reason tells us that he would not be conceived in the womb of a woman who had any contact with sin, even if it was before she was born. The womb that bore him who was to be the Unblemished Lamb had to be unblemished before he was conceived. To prevent Mary’s womb from contamination with sin, she was conceived without Original Sin. God can do this. It was appropriate that God do this, So, he did it. Nothing is impossible for God. Finally, in 1854, with the Bull Ineffabilis, Pope Pius IX solemnly proclaimed the dogma of the Immaculate Conception and put permanent closure on the discussion regarding Mary’s own conception and protection from Original Sin. Mary was not cleansed from Original Sin while in the womb. She came into existence in the womb, free of Original Sin. 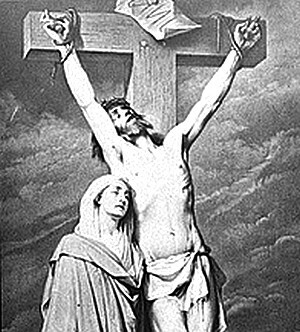 Christ’s sacrifice on the cross redeemed every man and woman before him, during his time, and those to come. Christ redeems his mother before the soul enters the fertilized egg in Anne’s womb. The Immaculate Conception is not an opinion or a theory, it is a fact that every Catholic must believe or you’re not Catholic. At the time of our baptism, our parents swore that they believed everything that the Catholic Church teaches and believes. They handed down their Catholic faith to us. We cannot claim ignorance. 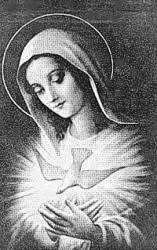 The Immaculate Conception of Mary is the Father’s gift to the Son, by the power of the Holy Spirit. Thank you again for your inspirational words. Continued prayers for you, your family & Community. God bless you always.